Click For More Info 1992 - 1994 88 ALL V6 3.8 ALL ALL ALL OE recommended replacement part. Click For More Info 1995 - 1995 88 ALL V6 3.8 N ALL ALL OE recommended replacement part. OE-specified Oil included. Click For More Info 1995 - 1995 88 ROYALE LSS V6 3.8 S ALL ALL OE recommended replacement part. Click For More Info 1996 - 1999 88 ALL V6 3.8 ALL ALL ALL OE recommended replacement part. Click For More Info 1989 - 1994 98 ALL V6 3.8 ALL ALL ALL OE recommended replacement part. Click For More Info 1995 - 1995 98 ALL V6 3.8 S ALL ALL OE recommended replacement part. Click For More Info 1995 - 1995 98 ALL V6 3.8 N ALL ALL OE recommended replacement part. OE-specified Oil included. Click For More Info 1996 - 1996 98 ALL V6 3.8 ALL ALL ALL OE recommended replacement part. Click For More Info 1994 - 1995 ACHIEVA ALL L4 2.3 ALL ALL ALL OE recommended replacement part. 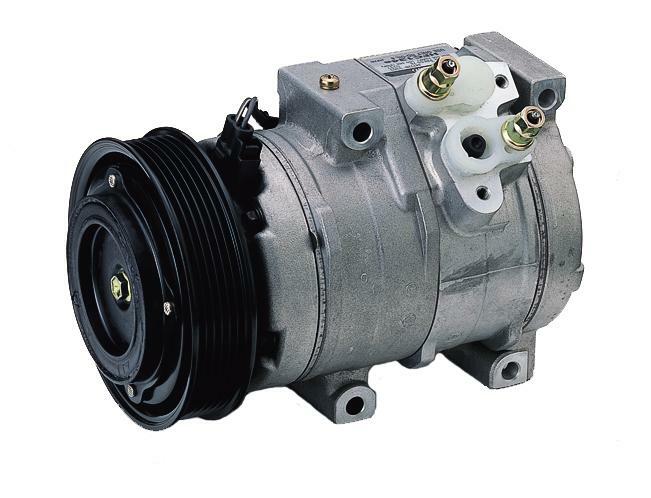 Click For More Info 1994 - 1998 ACHIEVA ALL V6 3.1 ALL ALL ALL OE recommended replacement part. Click For More Info 1996 - 1998 ACHIEVA ALL L4 2.4 ALL ALL ALL OE recommended replacement part. Click For More Info 1999 - 2001 ALERO ALL L4 2.4 ALL ALL ALL OE recommended replacement part. Click For More Info 1999 - 2004 ALERO ALL V6 3.4 ALL ALL ALL OE recommended replacement part. OE-specified Oil included. Click For More Info 2002 - 2004 ALERO ALL L4 2.2 ALL ALL ALL OE recommended replacement part. Click For More Info 1996 - 1998 BRAVADA ALL V6 4.3 ALL ALL ALL OE recommended replacement part. OE-specified Oil included. Click For More Info 2000 - 2001 BRAVADA ALL V6 4.3 ALL ALL ALL OE recommended replacement part. OE-specified Oil included. Click For More Info 2002 - 2004 BRAVADA ALL L6 4.2 ALL ALL ALL OE recommended replacement part. OE-specified Oil included. Click For More Info 1997 - 1999 CUTLASS ALL V6 3.1 ALL ALL ALL OE recommended replacement part. OE-specified Oil included. Click For More Info 1987 - 1988 CUTLASS CIERA ALL V6 3.8 ALL ALL ALL OE recommended replacement part. Click For More Info 1989 - 1989 CUTLASS CIERA ALL V6 3.3 ALL ALL ALL OE recommended replacement part. Click For More Info 1989 - 1989 CUTLASS CIERA BASE V6 2.8 ALL ALL ALL OE recommended replacement part. Click For More Info 1989 - 1989 CUTLASS CIERA SL V6 2.8 ALL ALL ALL OE recommended replacement part. Click For More Info 1994 - 1996 CUTLASS CIERA ALL V6 3.1 ALL ALL ALL OE recommended replacement part. Click For More Info 1987 - 1988 CUTLASS CRUISER ALL V6 3.8 ALL ALL ALL OE recommended replacement part. Click For More Info 1989 - 1989 CUTLASS CRUISER ALL V6 2.8 ALL ALL ALL OE recommended replacement part. Click For More Info 1989 - 1989 CUTLASS CRUISER ALL V6 3.3 ALL ALL ALL OE recommended replacement part. Click For More Info 1994 - 1994 CUTLASS CRUISER ALL V6 3.1 ALL ALL ALL OE recommended replacement part. Click For More Info 1990 - 1990 CUTLASS SUPREME ALL V6 3.1 ALL ALL ALL OE recommended replacement part. Click For More Info 1994 - 1994 CUTLASS SUPREME ALL V6 3.1 ALL ALL ALL OE recommended replacement part. Click For More Info 1994 - 1996 CUTLASS SUPREME ALL V6 3.4 ALL ALL ALL OE recommended replacement part. Click For More Info 1996 - 1996 CUTLASS SUPREME ALL V6 3.1 ALL ALL ALL OE recommended replacement part. OE-specified Oil included. Click For More Info 1997 - 1997 CUTLASS SUPREME SL V6 3.1 ALL ALL ALL OE recommended replacement part. OE-specified Oil included. Click For More Info 1989 - 1991 DELTA 88 ALL V6 3.8 ALL ALL ALL OE recommended replacement part. Click For More Info 1998 - 1999 INTRIGUE ALL V6 3.8 ALL ALL ALL OE recommended replacement part. OE-specified Oil included. Click For More Info 1999 - 2002 INTRIGUE ALL V6 3.5 ALL ALL ALL OE recommended replacement part. Click For More Info 1996 - 1999 LSS ALL V6 3.8 ALL ALL ALL OE recommended replacement part. Click For More Info 1997 - 1998 REGENCY ALL V6 3.8 ALL ALL ALL OE recommended replacement part. Click For More Info 1994 - 1994 SILHOUETTE ALL V6 3.1 ALL ALL ALL OE recommended replacement part. Click For More Info 1996 - 2000 SILHOUETTE ALL V6 3.4 ALL ALL ALL OE recommended replacement part. OE-specified Oil included. Click For More Info 1989 - 1992 TORONADO ALL V6 3.8 ALL ALL ALL OE recommended replacement part.